The personal injury lawyers at WPC Law proudly serve the community and have the experience and expertise that is necessary to recover the compensation that injury victims and their families deserve. Our Scarborough personal injury lawyers have been consistently winning cases that stem from Motor Vehicle Accidents, Public Transportation Accidents, Motorcycle Accidents, Pedestrian Accidents, Slip and Fall Accidents, Product Liability, Dog Bites and Long Term Disability Claims. We are the professionals other lawyers consult with when dealing with cases involving Brain Injuries, Spinal Cord Injuries, Orthopaedic Injuries and injuries resulting in Chronic Pain and Psychological trauma. The Scarborough personal injury lawyers work with a network of medical specialists who are experts in their respective fields. These individuals will diagnose and treat your injuries to ensure that you reach maximum recovery. Personal injury victims often suffer from greatly-reduced mobility and, as a result, may be unable to visit us at our offices. This is one of the reasons why we offer home and hospital visits. Another reason for this policy, is that it is crucial to speak to a personal injury lawyer as soon as possible, in order to protect your rights. If you or a loved one have sustained a personal injury, you deserve to be compensated. 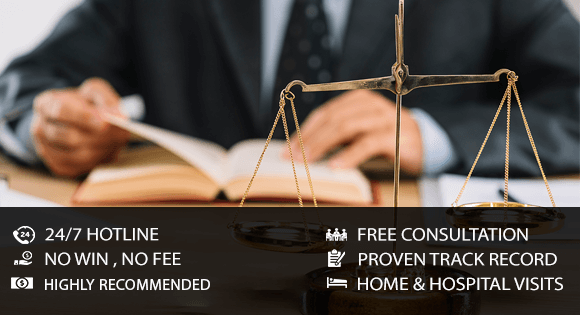 Contact us for a free, no obligation consultation and put the top recommended lawyers in your corner. Don't suffer in silence. Contact WPC Law today. When an accident occurs, it is not just damage to property that is devastating, but the human injuries surpass the material damage. At WPC Law, over the years, we have seen first -hand how accidents can change lives. With our legal team in your corner, you can be sure of getting all assistance, without any upfront legal fees. This is because we work on a ï¿½no-win, no-payï¿½ system or contingency basis, where we will charge a certain percentage of the compensation as our legal fee. If we donï¿½t win any compensation for you, we donï¿½t get paid. Our staff of paralegals, lawyers and legal experts focuses on what compensation you are most entitled to and work on gathering evidence, document injuries and medical reports in order to build a strong case. Our Injury Lawyers in Scarborough have the legal knowledge, negotiation skills and the ability to represent you with confidence at any trials. To start with the process of compensation claim, our lawyer will talk to you to find out more about your case and be represented to the best of their ability. Call us today to schedule a appointment to consult one of our legal experts.